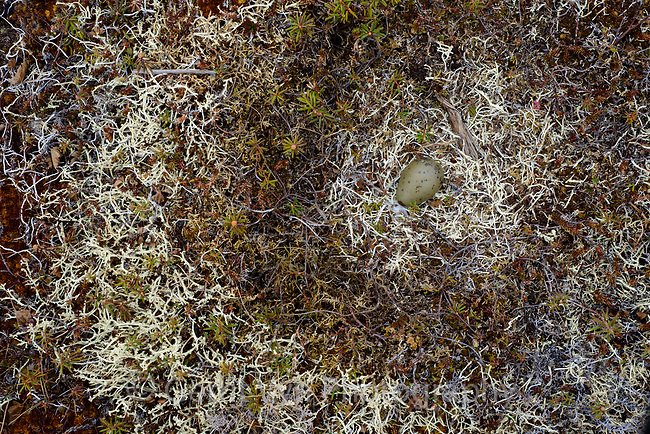 Parasitic Jaeger (Stercorarius parasiticus) nest with an incomplete clutch of one egg. A full clutch is two eggs. Yukon Delta National Wildlife Refuge, Alaska. June.